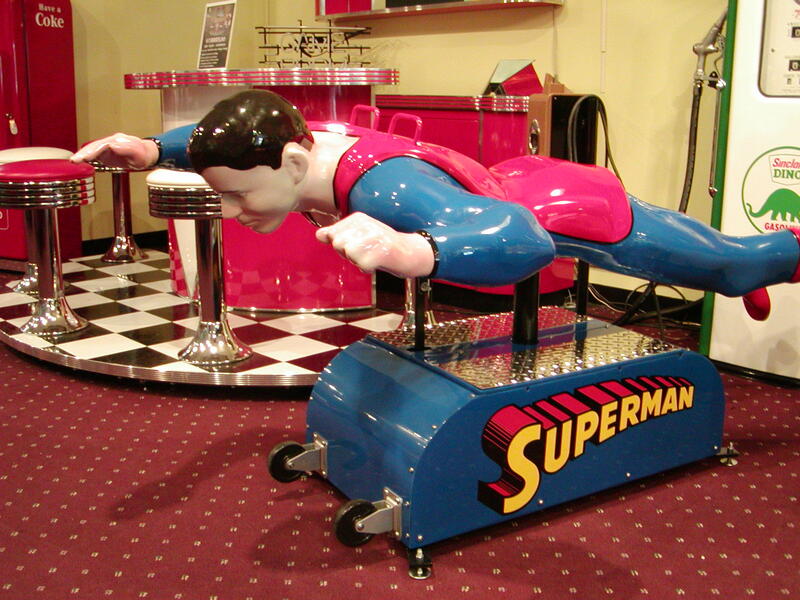 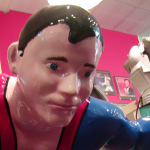 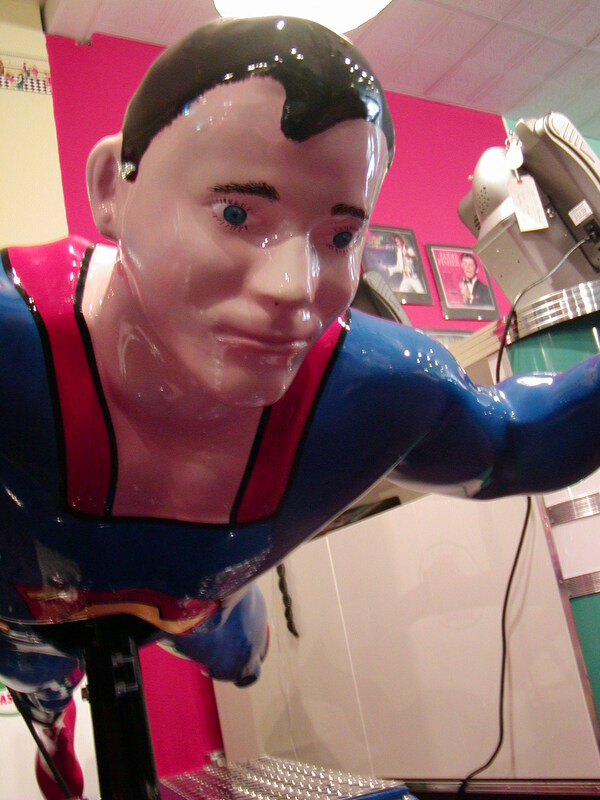 This restored superman kiddie ride turned out great! 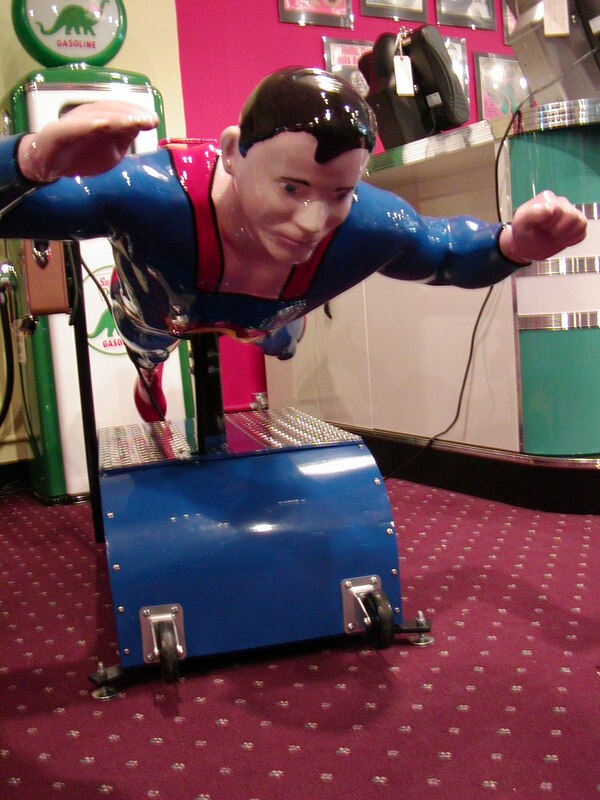 When we started with this original coin op ride it was in pretty rough shape. 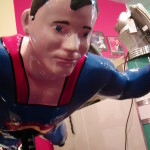 With a lot of work and even more love and care we restored it to better than new condition. 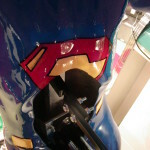 Included brand new motor and custom base. 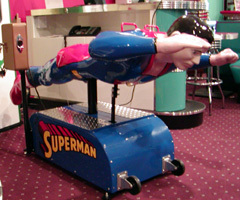 Custom superman decals to match the original ride. 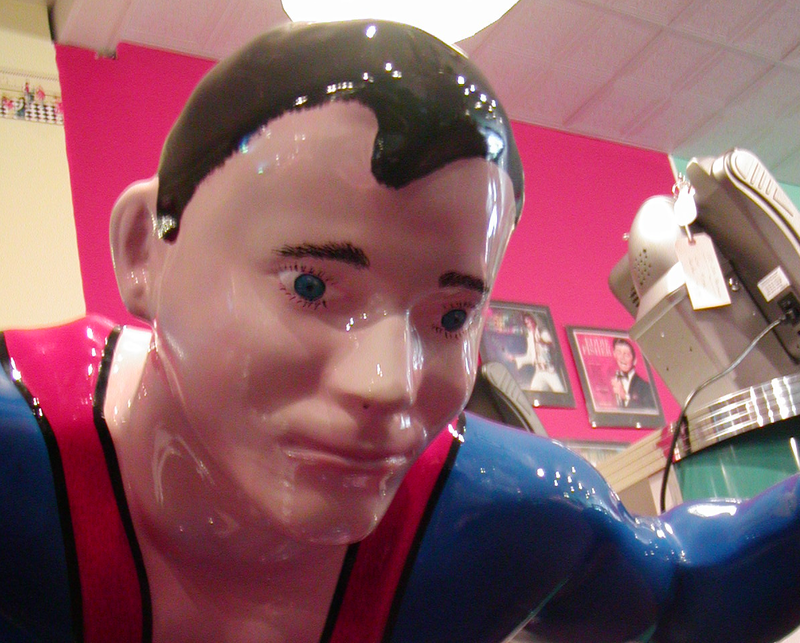 Hand painted and meticulously restored body and face. 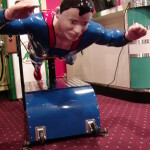 The coin mech is brand new and takes quarters. 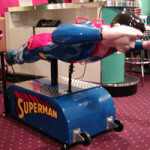 This ride is sure to give the owner and his guests many hours of flight time. 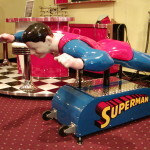 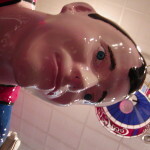 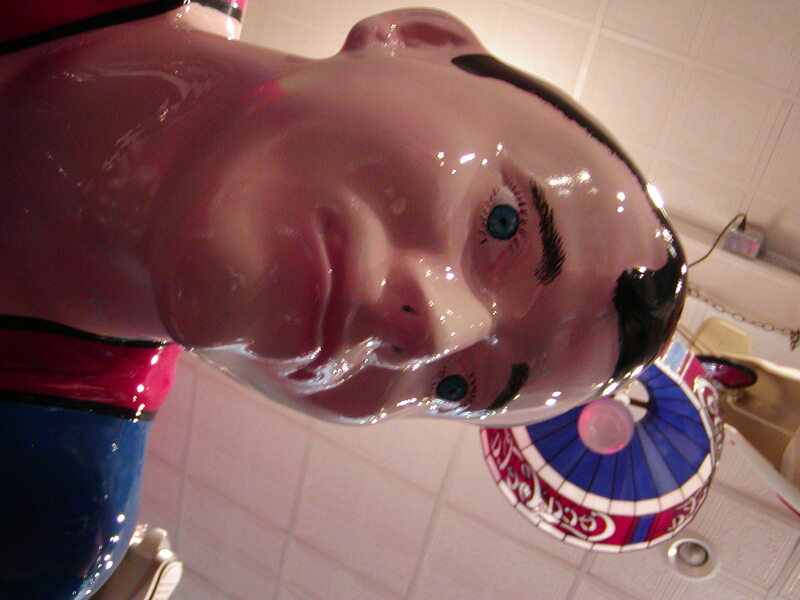 For more information on our coin operated ride restorations check out www.bitw.com.